The Academy of Nutrition and Dietetics reminds everyone to keep their sodium intake within the recommendations of the 2010 Dietary Guidelines for Americans and to seek the expert advice of a registered dietitian nutritionist for help on their personal sodium intake. While the average American consumes about 3,400 milligrams of sodium daily, the Dietary Guidelines recommend consuming less than 2,300 milligrams per day, which is about 1 teaspoon of salt, and "further reduce intake to 1,500 milligrams among those who are age 51 and older and those of any age who are African-American or have hypertension, diabetes or chronic kidney disease." "High blood pressure, or hypertension, is a major risk factor for heart disease, stroke, kidney failure and other conditions," says Academy Spokesperson and registered dietitian nutritionist Marisa Moore. 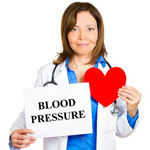 "There is a direct and progressive link between increased high blood pressure and sodium intake. On average, the higher your sodium intake, the higher your blood pressure," Moore says. "Much of the sodium we eat comes from prepared meals and foods eaten away from home. This can be significantly reduced by eating fresh foods," Moore says. * Instead of salt, use herbs and spices to season foods, and avoid salting food before tasting it. * Do not add salt to the water when cooking pasta, rice and vegetables. * Read the Nutrition Facts Panel to compare sodium content of foods such as soups, broths, breads and frozen dinners, and choose the healthiest option. * Eat fresh fruits and vegetables, fresh meats, poultry and fish, beans and peas, unsalted nuts, eggs and low-fat or fat-free milk and yogurt. As the IOM study's lead author noted in releasing the committee's report, it is important for physicians to refer patients to a registered dietitian nutritionist for help with consumption of dietary sodium. "A registered dietitian nutritionist can work with you and your doctor to develop an eating plan that is right for you and contains appropriate amounts of sodium," Moore says. The Dietary Guidelines for Americans are reviewed and, if needed, revised every five years. The Academy will monitor emerging research on sodium - and the full range of food and nutrition science - and contribute to the development of the 2015 Dietary Guidelines. In addition, as leaders in evidence-based dietetics practice, the Academy will consider key findings of the IOM report in its review of sodium research for an Evidence Analysis Library (http://www.adaevidencelibrary.org/) project due to be published in the fall. The project will enable dietetics practitioners to use systematically reviewed scientific evidence in making practice decisions by integrating the best available evidence with professional expertise and client values to improve outcomes.